The North Mara Gold Mine opened in 2002 and is one of the three gold-producing mines in Tanzania owned by the UK public company Acacia Mining (formerly African Barrick Gold), the biggest gold producer in Tanzania listed on the Main Market of the London Stock Exchange. The mine has produced over 2 million ounces of gold since 2002 and the current life of mine is estimated to be 9 years based on proven and probable gold reserves of 2 million ounces (4). According to Acacia Mining, their firm is “currently the largest foreign director investor in Tanzania having invested over US$2.5 billion into the country over the past 15 years (..) which represented around 2% of total Tanzanian gross domestic product (GDP) in 2015”. Moreover their “investment has predominantly been into (..) infrastructure projects to improve road networks, access to electricity and access to clean water (..), on average those employees earn US$16,400 per annum which is more than 10 times the average wage in Tanzania. For each of our employee’s a further 11 jobs are created across the Tanzanian economy means that we are directly and indirectly responsible for the livelihoods of over 45,000 people”(4). However, residents near the mine claim that they have never been informed about what is happening around them, about the relationship between the government and the companies and about how the money from mining is spent on. According to Revenue Watch, despite the mining boom over the lasts decades, Tanzania has failed to transform this into wealth for locals mainly because of poor contracts and bad laws. 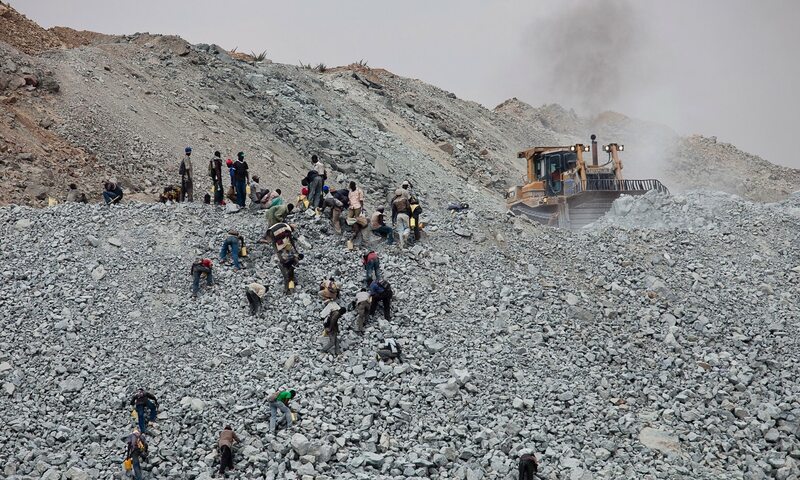 Critics and mining analysts also allege that mining and other corporations operating in Tanzania don't pay a fair share of taxes, robbing the country of much-needed revenue, falsifying production and profit figures. In fact, the Tax Revenue Appeals Tribunal recently found the multinational company in tax arrears, and accused it of engaging in a "sophisticated scheme of tax evasion" since 2010. Moreover, the presence of the firm has provoked several social and environmental conflicts with local residents as water contamination and human rights abuses (5) (7) (3). In 2009 spillage from North Mara mine contaminated the near Tigithe River, from which more than 2,500 households get their water. People and cattle became severely ill and some livestock and fish reportedly died from cyanide in the groundwater. Residents have been experiencing problems with their drinking water since then. Harold Sungusia, from the Legal & Human Rights Centre, says a lawsuit involving 1,451 complainants was filed against African Barrick Gold over the pollution in 2010, but nothing has yet happened (5). The environmental contamination followed up the severe incident happened in 2008 when a group of local people broke into the mine site and allegedly destroyed about $15m (£10m) worth of Barrick property. This event brought the rising presence of police and mine security personnel at the gate of the mine, which has nourished an ongoing spiral of violence (6) (2). 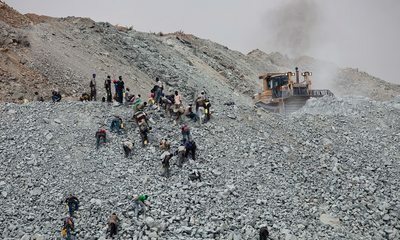 In March 2013 the British law firm Leigh Day (10) commenced proceedings against Acacia Mining in the High Court of England and Wales, representing 33 Tanzanian villagers who claimed that the companies were “liable for deaths and injuries allegedly caused by the use of excessive force by mine security and police”. It said that the violence was partly due to corruption among the 160 officers of the Tanzanian Police Force whom Acacia employs to guard the mine site (9) (6) (8). The company has routinely rejected all accusations. However, in November 2014 the Tanzanian Government warned the company and called for ‘zero intrusions and zero fatalities’ at North Mara mine, but the violence has continued. The government asked the company to relieve the situation by, for example, removing the police guards and relinquishing some areas, for which it has prospecting licences, for small-scale mining. During the same years also RAID and MiningWatch Canada, already focused on Acacia about problems with the complaints procedures, wrote to Barrick Gold Corporation to request transparency regarding the ‘remedy programme’ established to compensate alleged victims of harm. In February 2016, another official inquiry set up by the Tanzanian Ministry of Energy and Minerals confirmed receiving claims that at least 65 people have been killed and 270 people injured by police responsible for mine security, moreover confirmed improper land acquisition procedures and related inadequate compensation; dust and water pollution; and other human rights abuses (8) (2) (9). Nevertheless, so far no one has been prosecuted for or held to account for these violations. Acacia has drawn up a memorandum of understanding with the Tanzanian police who guard its mine site and the company has to accept some responsibility for their conduct (11). On the other hand, the recently elected president Magufuli said the government has approved new mining regulations aimed at ensuring that the benefits of the mining sector are shared more equitably between multinational mining companies and the state (7). The process plant has the capacity to process an average of 8,000 tonnes of ore per day, (or c. 2.8 million tonnes per year) and produces both doré. Why? Explain briefly. Reports of conflict between members of local communities and the mine are ongoing. Assaye Risk supports Acacia Mining in Tanzania and Africa more widely with the management of their non-technical risk. Services range from the design and delivery of a corporate security strategy, operational security design on mine sites, information collection and analysis and investigations capabilities and country-entry support for their Discovery arm.